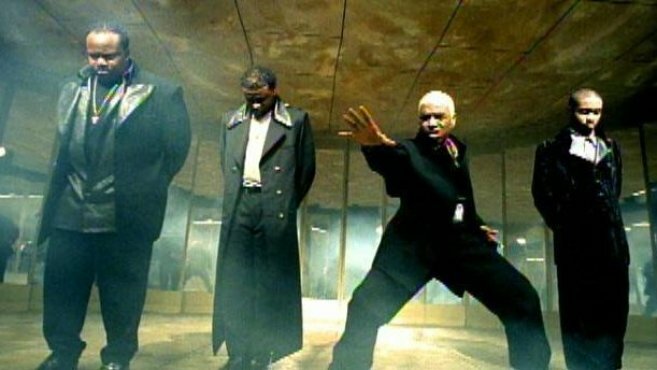 Members of R&B group Dru Hill have suffered a legal blow after their royalties lawsuit was dismissed by a judge on Friday (February 24). Three members of the band, fronted by “Thong Song” singer Sisqo, sued EMI and its parent company Sony/ATV, in 2015. Sisqo claimed EMI executives paid more than $600,000 of his royalties to 27 Red Music Publishing, a company he used to collect various royalties, but he never received any money, while his bandmates James ‘Woody Rock’ Green and Larry ‘Jazz’ Anthony, alleged EMI bosses wrongfully paid at least $30,000 of their royalties to 27 Red. In an amended complaint, filed in June, they sued for breach of implied contract and declaratory relief. Sony/ATV and EMI filed a motion to dismiss the lawsuit and on Friday, New York district judge Alison J. Nathan granted it, dismissing the claims with prejudice, basing her decision on their inability to plausibly allege an enforceable contract. Their legal action against 27 Red remains unresolved. Sisqo, real name Mark Althavean Andrews, sued for breach of contract while Green and Anthony sued for breach of implied contract.